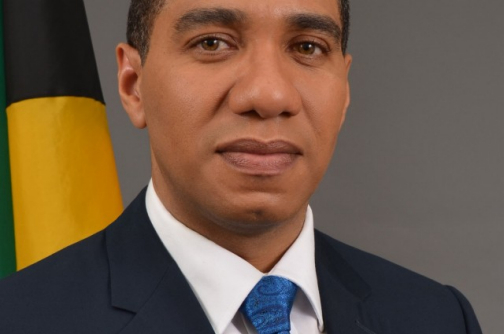 Jamaica’s Prime Minister Andrew Holness has made it clear that it was not his country’s intention to create an avenue for a ‘Jexit’, in the decision to establish a commission to review his country’s relationship with the Caribbean Community (CARICOM), it has been reported. “The intention of the report was not to create a cover for Jamaica for Jexit,” CMC quoted Holness as saying. It was an apparent reference to Brexit, the decision by Britain to leave the European Union after many decades. The Jamaica leader was addressing the second and final day of the two-day CARICOM summit in Port of Spain on the single market and economy. Holness said that it was imperative that the commission, under the chairmanship of former Prime Minister Bruce Golding, was established to give his then new administration empirical evidence of its relationship with Caricom and the wider Caribbean Forum (CARIFORUM), CMC reported. According to CMC, the Jamaica PM said there were considerations from the private sector. The news agency quoted Holness as saying that the Jamaica private sector made a point at every engagement to bring to the attention of the Government the difficulties they were having in accessing the markets of the region. Holness said that as a result, Jamaica initiated a commission to review its relations within CARICOM and within the wider CARIFORUM region. He explained that the intention is for once and for all to provide Jamaica with solid, empirical, studied data and positions that it can bring to CARICOM.